I`ve trapped (at home only) for the last two nights (Sat 2/9 & Sun 3/9). The Saturday catch was very poor but last night`s was a little better. It rained all night and the traps were saturated, with many moths worn and unidentifiable. Of the ones that were less worn, there were a few of moderate interest. The only migrants were a few silver y`s. 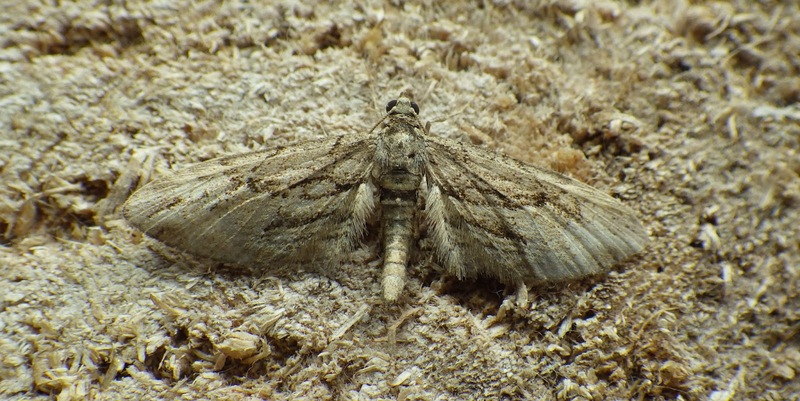 Above: slightly worn but clearly a cypress pug. 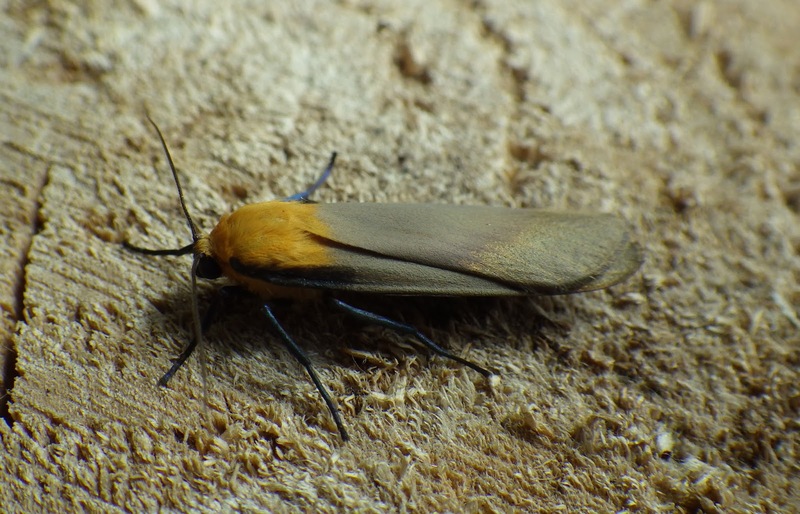 Above: attractive as always - a dapper male four-spotted footman. Somehow this individual managed not to get worn and the brassy sheen at the rear of the wings is evident in this photo, as are the blue-black legs (best to left-click on the photo to magnify it). 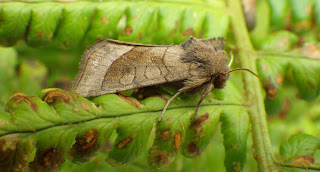 Above: a (not so) rosy rustic. Above (two photos): Now, this moth is puzzling me. When I hurriedly potted it up in the drenching drizzle this morning, I assumed that it was one of the colour forms of Blastobasis lacticolella, as the size was right. 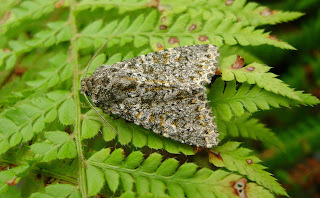 However, the wing shape (from above) is not as laterally curved as in that species. 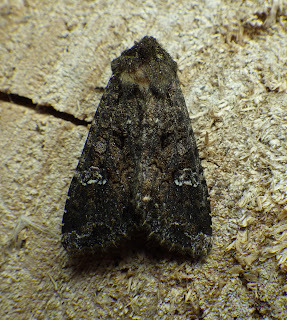 The colours/markings are very reminiscent of Aphomia sociella, but the moth is too small even for the smaller male Aphomia, unless it can vary in size - if so, it is probably that. I don`t think that I`ve caught a male Aphomia before, though I`ve trapped plenty of females. There is a `stored nut moth` Paralipsa gularis, where the male is smaller than male Aphomia, but that species is rather darker in colour. I`ll retain the moth for now. Some very nice moths there, Ian. Thanks Steve. 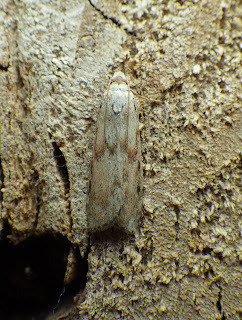 I was hoping for something like scarce bordered straw or Palpita vitrealis, both of which were caught in the last week or so just outside SE Carms at Gorseinon. The more I think about it, the more I think that my `puzzle moth` is just a runt Aphomia - but it is very small for that species (the size of Blastobasis lacticolella, as I said). 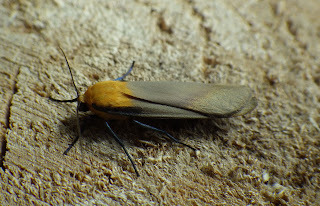 The markings look right for Bee Moth, but it's very pale, in't it? Difficult to gauge the size, though.